Villa Maria Lodge is located on the Jose Menendez Estancia. This property dates back to 1894 and once supported a bustling village of family and laborers who operated the sheep ranching business. The Menendez property also played host to a notable employee—slaughter house manager John Goodall, who’s famous for planting the first trout in our local rivers. Still surrounded by more than 120,000 acres of grazing land, and still hosting 40,000 sheep plus 1,500 head of cattle, the property sits close to the mighty Rio Grande river and looks like a tidy movie set, with white picket fences and colorful flower gardens. 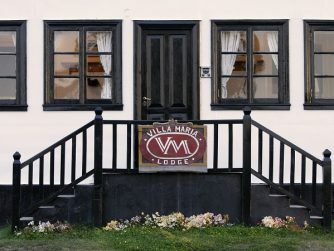 The lodge building that is now Villa Maria was once the ranch manager’s family home. In recent years it’s been completely transformed into a modern fishing escape. 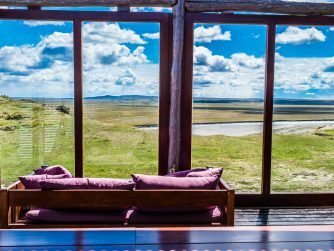 The lodge features six en-suite double and single rooms, smart furnishings, and spacious and gracious living areas. 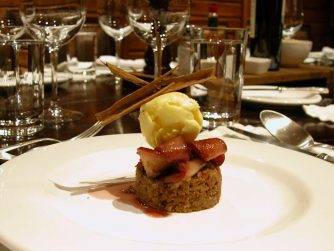 Delicious meals are prepared daily by the lodge’s dedicated chef. Each evening a roaring fire and well stocked bar welcome you back from your day’s adventures. Our on-site tackle shop is stocked with Sage rods, quality reels, flies, lines, clothing, and other on and off water gifts and essentials. In addition, guests have the full use of the lodge’s fly-tying table and gear storage rooms. 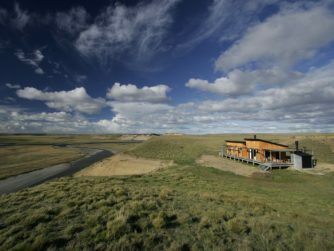 And if one lodge wasn’t enough, Villa Maria also boasts a riverside day house that’s used to augment the fishing rotation. 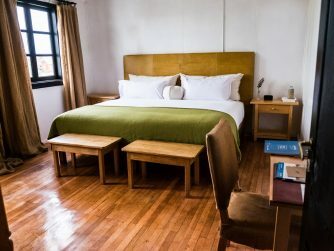 The day lodge has three cozy rooms perfect for midday siestas. Its convenient location increases fishing time and gives our anglers a place to relax after enjoying midday lunches, such as steak or lamb cooked over open coals. At Nervous Waters, our kitchens come to life through the use of fresh and regionally representative meats and produce. By combining these elements, we create delicious flavors and varied textures that harbor hidden stories and package traditions on each plate. 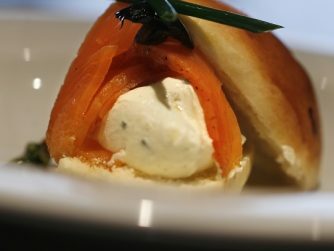 A top-notch team of experienced national and international chefs, trained in both classic and avant-garde culinary techniques, execute our food. 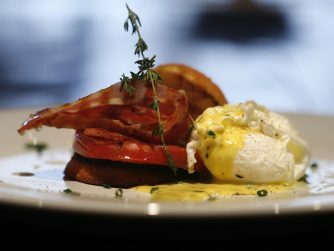 With an artisan’s touch, chefs prepare every dish from scratch to be served at a minute’s notice. At Villa Maria lodge you’ll enjoy fresh pastas and fire-roasted meats like our famous Patagonian lamb, roasted gaucho-style over charcoal embers, alongside ocean-fresh flavors such as King crab. And don’t forget to save room for dessert. From homemade ice creams to classic sweets and pastries, we have you covered. Finally, we feel that the food we serve and the wines we pour should mirror the sporting opportunities we offer. And wines from Bodega Catena Zapata blend perfectly. These are renowned wines that compete on the world stage. They hold a special place in our culture and we’re proud to serve them to you.